After the highly successful 35mm and 50mm f1.4 Art models, how well does Sigma’s expected ultra-wide 24mm follow-up fare in our tests? Read on to find out. 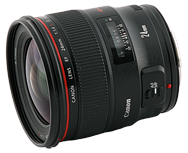 We’ve had the opportunity to test the new ultra-high speed Samyang 24mm F1.4 prime, and thought we would alter our usual review format to take a look at the best lenses for Canon full-frame users. Read on to find out how well the Samyang performs in our tests and if that or a rival model is the best choice.